I am selling a BRAND NEW, UNWORN Nicole Spose wedding gown. It did not arrive in time for my wedding. This dress is incredible. It is a size 6, unaltered, ivory dress. The tulle has a beautiful sparkly layer. I only put the dress on for these pictures, it still has the tag on it. I picked it up from the boutique 10/27. It arrived in the US from Italy on 10/23. 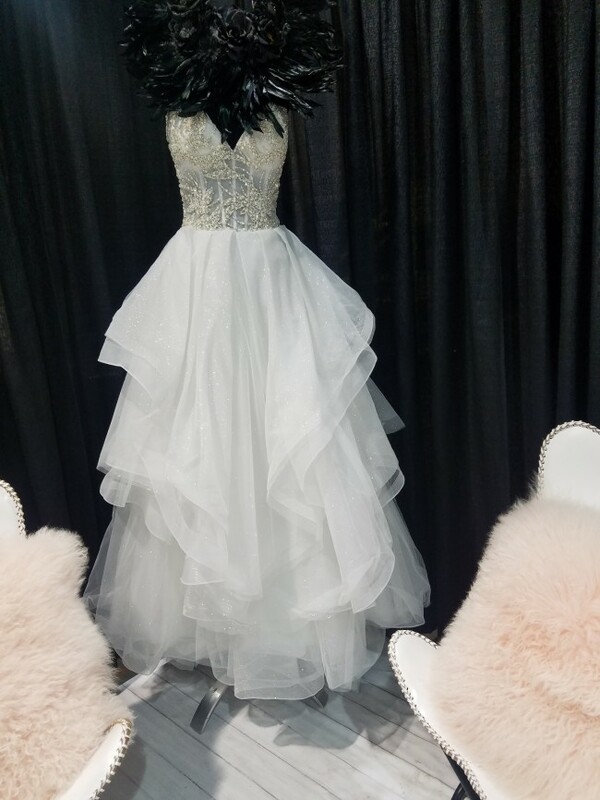 I bought the dress for $2,800 and am asking $1,000. Make me an offer!